Donald Trump is no fan of China. The Republican presidential candidate has promised to bring American jobs back from China, and a major part of his stump speech is a pledge to "not let China rip us off any longer." Now, Trump has a new line of attack, courtesy of the People's Bank of China's decision to let the yuan trade more freely, which has set off the currency's biggest decline in two decades. "[China] continuously cuts their currency, they devalue their currency," Trump said during a campaign stop in Birch Run, Michigan. "They've been doing this for years -- this isn't just starting." A weak currency cheapens the price of a country's exports, making them more attractive to international buyers by undercutting competitors. Many experts disagree with Trump's analysis. The International Monetary Fund, for example, says the yuan is fairly valued. And while it's true that the currency has depreciated this week, many analysts have praised China for following through on its commitment to allow market forces more influence over the currency. 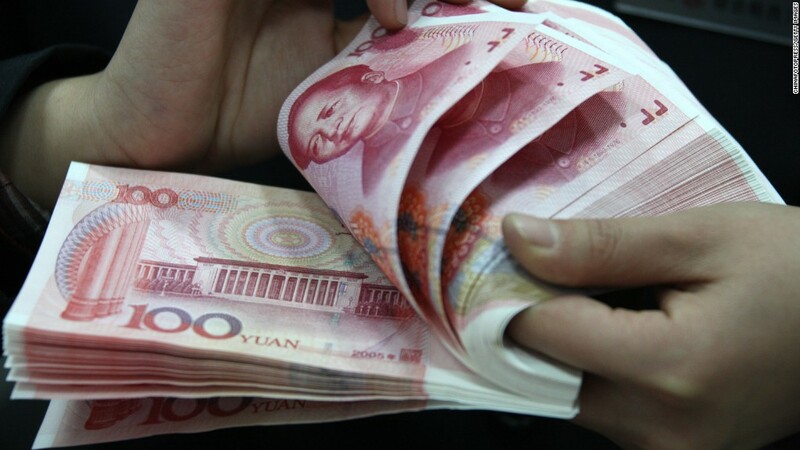 The yuan, also called the renminbi, has appreciated 14% since mid-2014, according to Daiwa Capital Markets. Trump, however, said that China is "making it absolutely impossible for the United States to compete," and doing so without suffering any consequences. "China has no respect for President Obama whatsoever -- whatsoever," he said. "They think we're run by a bunch of idiots, and what's going on with China, it's unbelievable." Earlier this year, Trump ran into some political trouble after some of his branded merchandise was found to have been manufactured in China. Trump said he had no alternative. "My ties ... a lot of them are made in China," he said, "because they have manipulated their currency to such a point that it's impossible for our companies to compete."